Gamers experimenting with the 2002 Game Boy Advance game Metroid Fusion have discovered such a profound and bizarre shortcut that speedrunners have had to create a new category to account for the latest new way to break the game: memory corruption . The trick requires using Samus’ power bombs in an out-of-bounds area to corrupt a save file and make it so the game thinks one of the bosses has already been killed. That allows players to skip a section of the game. Previously, the best time to beat Metroid Fusion without using this skip was 1:12.52. The exploit was discovered April 1 and detailed online that on Thursday by a speedrunner who goes by the name Biospark. 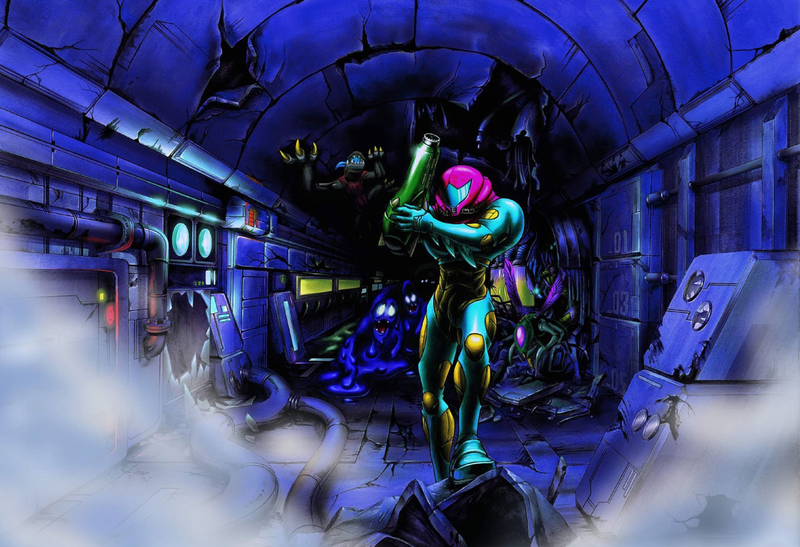 A day later, an accomplished Metroid Fusion speedrunner who goes by the alias JRP2234 set a new world record of 51:16, beating the previous one (which he set last year) and upending the game’s leaderboard in the process. A day later, he did even better, coming in at 50:34. As a result, the speedrunning community around Metroid Fusion created a new category called “Any% No Memory Corruption” to preserve the over 100 existing records listed that can’t fairly compare to JRP’s. Biospark showed how it works in a tool-assisted run (TAS) video posted last Thursday. Metroid games are full of blocks Samus can destroy with the bombs she drops, he explained. In Metroid Fusion, the way they’re tracked can be used to manipulate how the game stores save data. “Laying power bombs while out of bounds will access memory addresses that are way past the clipdata and background 1 values,” he wrote in the video’s description. “In particular, save data starts at 0x2038200, which can be reached by using this trick.” Blowing up certain blocks can overwrite the values that define the save data to trick the game into thinking the player should be located at the end of the game when they reload their save. There’s a formula and a precise logic as to which blocks a player needs to destroy in order to properly corrupt their save file, but in practice the exploit is pretty straightforward. While the new exploit is not terribly hard to pull off if you’re taking your time, it needs to be done in a specific order as you progress through the game or the save file won’t be corrupted correctly. First the player needs to save when they are about to leave Sector 1 and make sure the last door they used was located on the right of the screen. Then, when they reach Sector 4, they need to break a specific group of blocks in order to start corrupting their save. From there they need to glitch their way into an out of bounds area right above that Sector’s largest room and place power bombs at specific intervals to finish the corruption. If they’ve done so correctly, their save file will have been overwritten and the next time they die and load it, they’ll appear in the destroyed hallway right before Samus boards her ship to leave at the end of the game. Her brutal fight with the Omega Metroid final boss is skipped entirely. There’s currently a Metroid Fusion speedrunning tournament going on. Players race through the game in 1v1 matches, and whoever has the better time progresses to the next stage of the bracket. Naturally, the new skip has been banned for the tournament so as not to upend the strategies players prepared. It’s unclear whether it will be allowed in future competitions or how this will change the focus in the game’s speedrunning community going forward. A handful of other players have spent time over the weekend adding their own corrupted memory runs, but it’s possible the majority will decide to continue without it and instead keep looking for time saves that are less technical. You can watch JRP’s world record run using the skip in its entirety below.